OLC went to Los Angeles to meet with online learning professionals, educators and administrators to address the opportunities and challenges we all face in online higher education today. 3. Discover the key open educational resource catalogs for a successful OER implementation on your campus. Textbook affordability is a national issue. The conference will provide presentations, templates, online resources, and facilitated planning activities for participants in any state and institution to learn and adopted/adapted for their textbook affordability programs. The leading programs and strategies being implemented in California can be models that you can apply to your own institution. The breakout sessions will focus on small group discussion between participants from state community colleges and 4 year institutions and privates), between participants in different regions (e.g. rural, suburban, and urban), and between participants at different stages of planning (e.g. just starting to plan to experienced implementing programs). Though especially beneficial to higher education in California, we have designed the conference to benefit any higher education institution. Participants will discuss strategies for developing academic senate resolutions that support the option of faculty choosing and using free and open educational resources in a timely manner and identify issues raised by such resolutions. Examples of academic senate policies will be provided along with templates for participants develop their own campus policy. Discussions will also include strategies for enabling academic senate policies to guide sustainable campus practices for textbook affordability initiatives. Participants will be free to engage in discussions in breakout rooms organized by type of institution. California has been a leader in ensuring affordable access to quality higher education. Recent legislation by Assemblywoman Bonilla (Assembly Bill 798) is providing the California Community Colleges and the California State University access to $3,000,000 for campus programs to support faculty learning about and adopting open educational resources which will significantly reduce to cost of the students’ course materials. The presentation will review and explain the goals and requirements for campus academic senate resolutions (representing the faculty’s support for the option of choosing free and open educational resources) and campus plans for achieving the financial savings for students while building sustainable campus support for faculty and students choosing and using free and open educational resources. The processes for developing the legislation that resulting in the support from the governor’s office, the California Department of Finance, and the California higher education systems and academic senates will also be presented. Dr. Sarah Brady earned her Ph.D. in Chemistry in 2013 at the University of Oregon. After graduation, she accepted a California Council on Science and Technology (CCST) Policy Fellowship where she was a fellow in Assemblywoman Susan Bonilla’s office. Upon completion of the fellowship, Sarah accepted a permanent position in Assemblywoman Bonilla’s office as a Legislative Aide. Sarah spearheaded the work on AB 798 when Assemblywoman Bonilla wanted to find a way to reduce the cost of textbooks for students. In addition to handling legislation, Sarah conducts bill analysis and provides vote recommendations to Assemblywoman Bonilla on all bills related to utilities and commerce, energy, water, natural resources, and environmental toxicity. Participants will discuss textbook affordability objectives, especially those of AB 798, and the feasibility and benefits of different assessment methodologies for acquiring evidence of the impact of textbook affordability initiatives. Examples of textbook affordability objectives will be provided along with templates for participants develop their textbook affordability objectives. Exploring the online tools and resources for outcomes analytics will be included in the sessions. Participants will be free to engage in discussions in breakout rooms organized by location, enabling discussions between institutions that share the same service area for students. Campuses planning and implementing a textbook affordability initiative will need to invest in staff time, financial resources, and institutional priorities. Evidence for how these investments are achieving their outcomes is essential for sustaining and improving a campus’ initiative. In addition, in order for a textbook affordability initiative to be successful, faculty and staff need to understand how such a project is much more than solely adopting free and low cost textbooks. They need to be educated on how open educational resources (OER) are used to improve student success, close the achievement gaps on campuses, and can be one of our most successful ways to achieve student equity by truly providing full access for our students to their education, right from the first day of a course. Over two years ago, the California Community Colleges Chancellor’s Office (CCCCO) adopted a policy that all products developed via grants from the CCCCO are required to include a Creative Commons Attribution license. This license has already proven beneficial. The United States government already has similar policies. This presentation will share outcomes of replacing costly textbooks with open ones, state and national policies and bills that will lead to the increased student, as well as how to develop methodologies to study adoption of open and low cost textbooks. It will also focus on providing strategies for supporting the adoption of open textbooks and provide guidelines in adopting open textbooks with the CA community colleges. Barbara Illowsky, Ph.D. has been a mathematics and statistics professor at De Anza College, Cupertino, CA since 1989. She is currently the Dean of Basic Skills & Open Educational Resources, CCC Online Ed Initiative (OEI). Her responsibilities also include advising, training and development of Open Educational Resources models. Barbara is co-author of Collaborative Statistics and Introductory Statistics, free and open textbooks published by OpenStax College that are used by dozens of colleges, universities, and high schools throughout the country and world. She is on the Board of Directors of WebAssign. Barbara is considered one of the leading international experts in open educational resources. She received the 2013 Open Education Consortium international Educator Award For Excellence. 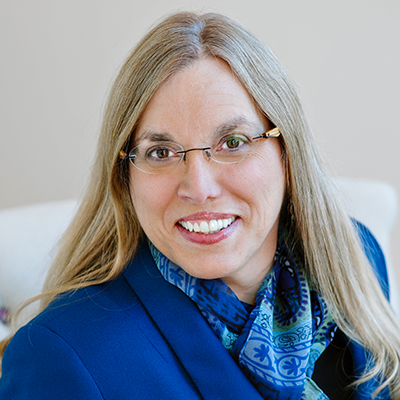 Barbara earned her BS In Mathematics from SUNY Albany, her MA in Statistics from Wharton School, University of Pennsylvania and her PhD in Education: Instructional Design for Online Learning from Capella University. Participants will discuss the readiness and program requirements for campuses implementing their textbook affordability initiatives. Participants will be provided examples of readiness and program requirements for textbook affordability initiatives along with templates for developing their campus plans. Participants will explore and discuss the available online libraries, tools, and resources that they can incorporate into their plans. Participants will be free to engage in discussions in breakout rooms organized by campus readiness, enabling discussions between institutions that share issues for planning and implementing their textbook affordability initiative. Funding and policy resolutions are important ingredients for a campus textbook affordability program but to put the plans into practices, campuses need easy access to high quality, free and open educational resources that meet faculty and institutional requirements (e.g. accessibility requirements) and adaptable faculty professional development programs to support faculty learning to use the free and open educational resources. The presentation will demonstrate the available online libraries of free and open education resources, especially the California Open Online Library for Education (www.cool4ed.edu) which has free and open etextbooks for 50 courses taught in the California Community Colleges, California State University, and University of California. Different institutional models for supporting faculty and student development for the adoption and effective use of free and open educational resources will be presented, especially those that can be supported by funding from Assembly Bill 798. 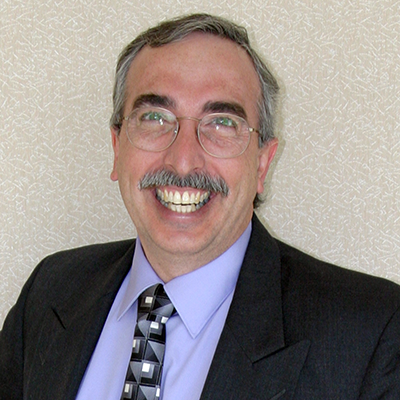 Gerard L. Hanley Ph.D. is the Executive Director of MERLOT (Multimedia Educational Resource for Learning and Online Teaching) and Assistant Vice Chancellor, Academic Technology Services for the California State University, Office of the Chancellor. At MERLOT, he directs the development, delivery, and sustainability of MERLOT’s organization and services to enhance teaching and learning with academic technologies. At the CSU, Gerry oversees the development and implementation of integrated digital library services and resources, academic technology services, and the accessible technology initiative supporting the CSU’s 23 campuses. Previously held positions in the CSU include Professor of Psychology, Director of Faculty Development and Director of Strategic Planning. He received his BA, MA, and PhD from SUNY at Stony Brook in Psychology. How will today’s textbook affordability initiatives impact our institutions in 2021? Moderated by Karen Pedersen, OLC Chief Knowledge Officer, participants from the discussion sessions will be selected to share their ideas, plans, and predictions of the effects of the textbook affordability initiatives on different stakeholder groups (e.g. students, faculty, and staff) and campus operations (e.g. bookstores, libraries, learning management systems, business relationships with publishers, etc.). The General Session presenters will comment on the presentations as well. The panel will be open to questions from the audience concerning the plans and expected impacts of AB 798 on the California Community Colleges and the Cal State University. How can higher education in California continue to provide access to an excellent education at affordable prices? College textbook affordability Initiatives are one component of a broader strategy. The 2015 College Textbook Affordability Act (AB 798) provides the California Communities Colleges and the California State University a $3 million opportunity to save their 3 million students money on the cost of the course materials. The question is, how will these institutions successfully plan and implement programs that achieve the cost savings for students and the academic quality, academic freedom, and faculty professional development goals of the institution? Participate in the regional OLC Collaborate discussion on the “Textbook Affordability Initiatives” and share in an open dialogue with other colleagues from around the region. BREAKOUT SESSIONS: Participants will discuss strategies for developing academic senate resolutions that support the option of faculty choosing and using free and open educational resources in a timely manner and identify issues raised by such resolutions. Examples of academic senate polices will be provided along with templates for participants develop their own campus policy. Discussions will also include strategies for enabling academic senate policies to guide sustainable campus practices for textbook affordability initiatives. Participants will be free to engage in discussions in breakout rooms organized by type of institution. BREAKOUT SESSIONS: Participants will discuss textbook affordability objectives, especially those of AB 798, and the feasibility and benefits of different assessment methodologies for acquiring evidence of the impact of textbook affordability initiatives. Examples of textbook affordability objectives will be provided along with templates for participants develop their textbook affordability objectives. Exploring the online tools and resources for outcomes analytics will be included in the sessions. Participants will be free to engage in discussions in breakout rooms organized by location, enabling discussions between institutions that share the same service area for students. BREAKOUT SESSIONS: Participants will discuss the readiness and program requirements for campuses implementing their textbook affordability initiatives. Participants will be provided examples of readiness and program requirements for textbook affordability initiatives along with templates for developing their campus plans. Participants will explore and discuss the available online libraries, tools, and resources that they can incorporate into their plans. Participants will be free to engage in discussions in breakout rooms organized by campus readiness, enabling discussions between institutions that share issues for planning and implementing their textbook affordability initiative. Attendees will select one of three or four Breakout Sessions to attend following each general session. All sessions are in the Crowne Plaza Los Angeles Airport. All Sessions are in Pacific Time (PT). Joining us for the day? Come directly to Crowne Plaza Los Angeles Airport. Staying the night or for the CSU meeting? Rooms for OLC Collaborate attendees are still available prevailing hotel rate. The California State University is the largest system of senior higher education in the country, with 23 campuses, 47,000 faculty and staff and more than 460,000 students. Half of the CSU’s students transfer from California Community Colleges. Created in 1960, the mission of the CSU is to provide high-quality, affordable education to meet the ever changing needs of California. With its commitment to quality, opportunity, and student success, the CSU is renowned for superb teaching, innovative research and for producing job-ready graduates. Each year, the CSU awards more than 100,000 degrees. One in every 20 Americans holding a college degree is a graduate of the CSU and our alumni are 3 million strong. Connect with and learn more about the CSU at CSU Social Media. To find out more about CSU, visit our website and follow us on Twitter and Facebook. To find out more about MERLOT, visit our website and follow us on Twitter, Facebook, and LinkedIn. To find out more about ProctorU, visit our website and follow us on Twitter and Facebook. This was one of the most interesting conference experiences I’ve ever had. The sessions were stimulating, the people were engaging, and there was a sense of community I haven’t seen at other conferences. Each year gets better and better and the opportunity to engage in conversations with online thought leaders is amazing.